If you know Tim then you’ll know he has an even greater passion for beer than I do for wine. Unlike my peasant tastes however, he prefers the fancy stuff. If I had to give him a choice between no beer and no travel I’m really not sure which way he’d go (Although he willingly went to Iran for 3 weeks where there was only non alcoholic beer so maybe it’s travel). Last time we were back in Australia we were bowled over by the huge increase in craft beers available in both the pubs, local brewery’s and the bottle shops. It was very rare that a day went by that we weren’t able to try something new (and we had a drink most nights for the 6 months we were there! Probably why we were still quite rotund at the end of 7000km). We also visited quite a number of craft breweries on our 6 month cycling trip and were delighted to see how the industry had grown since we left in 2010. Great beer, great food and definitely great places to meet up with friends and most places looked kid friendly. 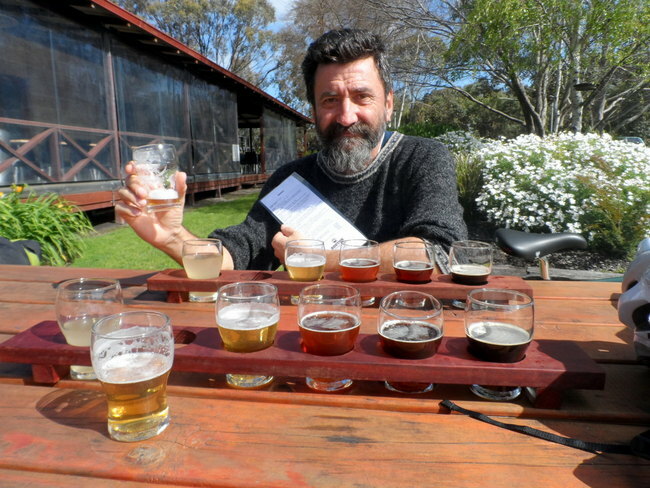 Bootleg Brewery near Margaret River was just one example. 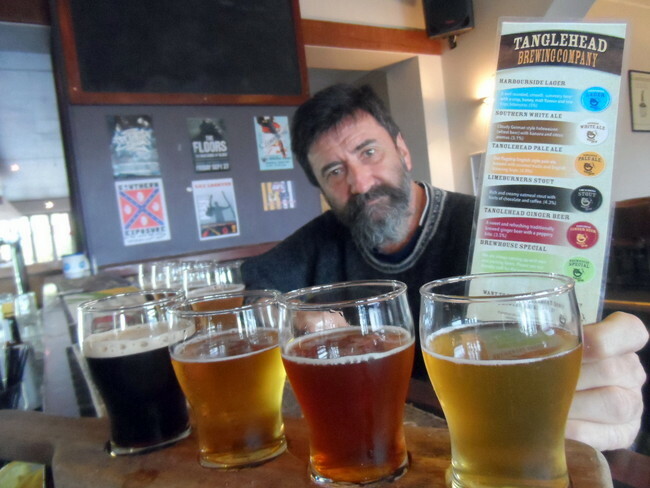 As far as a days outing goes, Tim considers a trip to Dan Murphy;s to gaze at the huge selection on offer and try and make a choice, second only to having a pint on tap in a lovely local pub watching Carlton win at the footy. The last part didn’t happen all that much last season so the afternoon could turn a bit grim by three quarter time. Believe me,a trip to Dan Muprhy’s could take quite a bit of time….made even longer by the fact that it usually takes me about 3 minutes tops to choose my wine. I have a couple of favourites (Yellowtail Merlot & the Margaret River Soft Merlot Clean Skin) and only deviate if I’m sharing with someone who has a more developed palate than I or there’s something else on special. Had I known about the Dan Murphy’s Click and Collect program, I could have saved myself a lot of hanging about. I could have simply given Tim the Samsung. Had him make his choice in comfort and then ducked down to pick up our order. It probably would have saved us time AND money. But I didn’t at that stage and unfortunately we won’t be shopping at Dan Murphy’s for a long time as they haven’t made the leap into the Vietnamese Market yet. Maybe there’s an opening there. Anyway, seeing as we spend so much money with them we were delighted to take up their offer of becoming an affiliate partner and get some of that cash back (Yes we do get a very small amount if you do any shopping via the links or the add on this page but it won’t cost you guys any extra). Let’s face it…We are some of their biggest fans. So, as partners we can now put their ads on our pages and put direct links through to their specials. These change every week include beer, wine and spirits. Next story Have you ever been inspired by a book to travel?